Chinese fried dough sticks (Youtiao in Chinese) is a traditional Chinese breakfast food, and one of my childhood favorites. I don’t make this often at home since it is a deep fried food. My son Maomao has requested many times to have Youtiao as breakfast for a change. Here it is, I used food grade swelling agent and the result is amazing. 4) 3 cups corn oil or vegetable oil. 1: In a small bowl, mix flour and swelling agent (Picture 1) thoroughly. Add water (Picture 2) to form dough (Picture 3). Knead for a couple of minutes, then cover with food wrap and let stand for 30 minutes. Knead the dough for a couple of minutes again. 2: Cover the bowl with food wrap and let stand in a warm place for 5-6 hours (Picture 4). 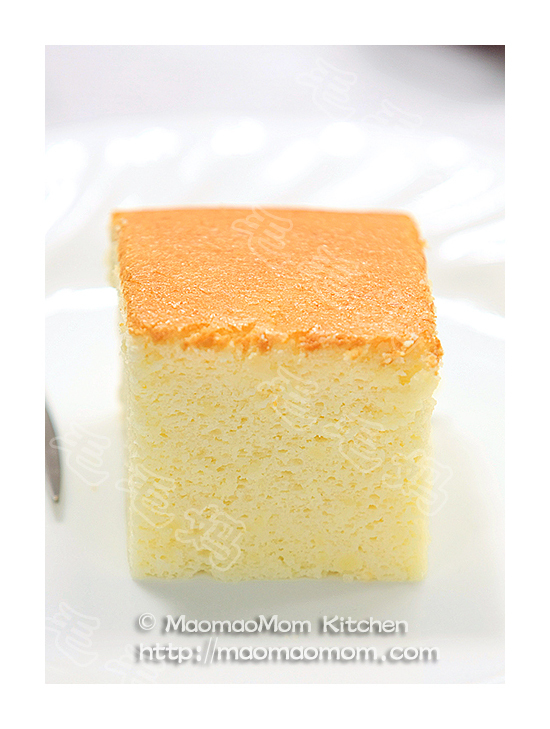 On a lightly floured surface, shape the dough into a log and press down to a 0.4 cm thick and 3 cm wide rectangular. 3: In a medium sauce pot, heat 3 cups frying oil on medium-high heat. Cut the dough into 3 cm long and 1 cm wide stripes. 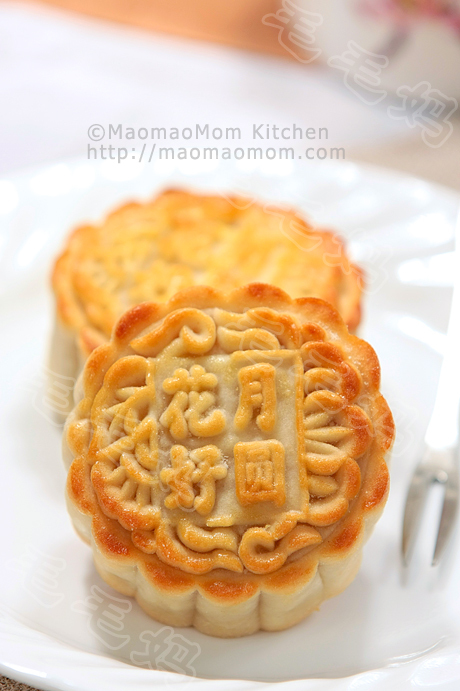 Place one piece on top of another, and press lightly in the centre with a chopstick (Picture 6). Gently lower 2 or 3 Youtiao sticks into hot oil (Picture 7). 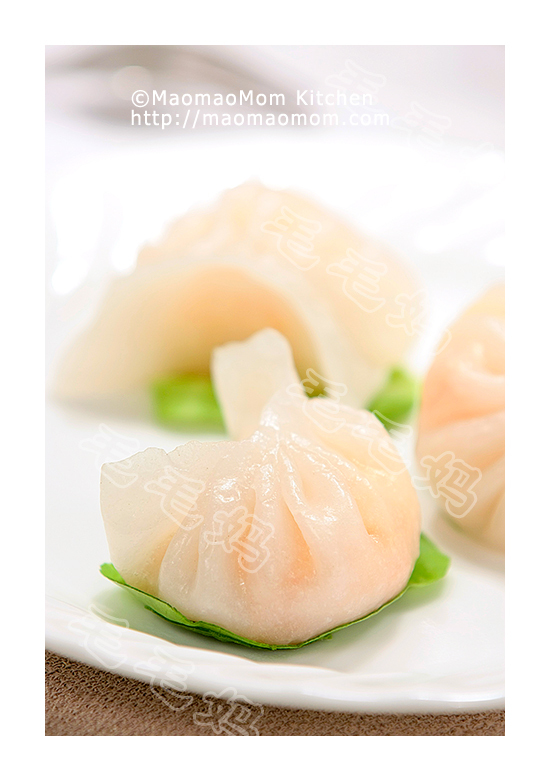 Turn dough on both sides continuously with a chopstick or tongs until it is golden brown. Repeat for the rest of dough. Drain on paper towels and serve warm. This entry was posted in Appetizer, 主食, 油炸, 特色小吃 and tagged Appetizer, Breakfast Food, Childhood Favorites, Chinese Breakfast, Cook Time, Corn Oil, Couple Of Minutes, Deep Fried Food, Food Grade, Fried Dough, Frying Oil, High Heat, Hot Oil, Maomao, Mix Flour, Paper Towels, Purpose Flour, Sauce Pot, Surface Shape, Vegetable Oil. Bookmark the permalink. Thanks for sharing the recipe. I’ve tried making the carrot cake and it’s quite a success. For this youtiao, Is it possible to use without the swelling agent? I can’t get the swelling agent from where I’m staying. Please advise. Thanks. Without swelling agent, you can’t make you tiao. Try this recipe using baking soda and powder. What is the temperature of 热油 to make 油条 ? Do you us pan with adjustable temperature to fry 油条? I have a skillet which the highest temperature is 400? Is this 400 is high enough? what 厨房武器 do you use to fry 油条? Thank you. MaoMao mom. I used sauce pot, when you put a small piece dough, you see lots bubbles forming, that T is high enough. You could try 400F for a few minutes to heat the oil and then decrease a bit.